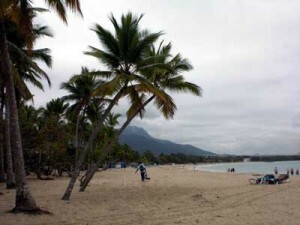 Boca Chica beach is located on the southern coast of the island of Hispaniola. It’s a unique reef-protected lagoon of tranquil blue waters and powder-white sand. It is perfect for families with children as it is only waist deep even up to a mile from the shore and hardly ever there are waves. The crystal clear and shallow water are great for swimming and snorkeling, paddle boating, kayaking, especially around the coral reefs. Boca Chica has two small islands, Los Pinos and La Matica (later there maybe something more about those two islands). 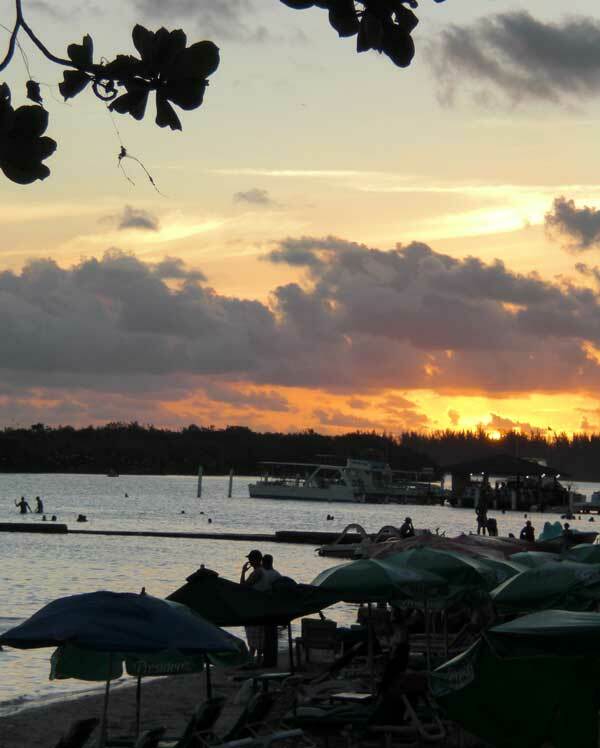 Boca Chica has a many Hotels and all inclusive resorts within walking distance of the beach. For a list check out our Boca Chica Hotel Reviews. Boca Chica is the most crowded beach of the Dominican Republic especially on weekends and holidays because it is only 19 miles away from the capital city – Santo Domingo. Only Monday morning the beach is empty and cleaned up of any trash left from the day before. It is so close to the capital that it pays off to go there even for one day. It is small and basically everywhere you can get on foot. You can always take a motoconcho for 10 pesos and they will take you whenever you want to. If anyone gets tired of the beach, it is also close to other places such as a small horseshoe bay that offers great boogie boarding or if you are interested in playing golf, there is San Andres Caribe Golf Club in the area.